Microsoft have made an interesting move regarding their Microsoft certifications. They've brought back the good old MCSE and MCSA certifications but have changed their meanings. Starting with Private Cloud and SQL Server, MCSA (Microsoft Certified Solutions Associate) and MCSE (Microsoft Certified Solutions Expert) will be the core certification groups going forward. If you've taken a few Microsoft exams in your time, then you'll remember that MCSE used to stand for Microsoft Certified Systems Engineer. This certification group included exams for Windows 2000 Server, Windows 2000 Professional, Windows XP, Active Directory, Windows Server 2003 and SQL Server. This was back in the day when Microsoft exams were just starting to become popular. 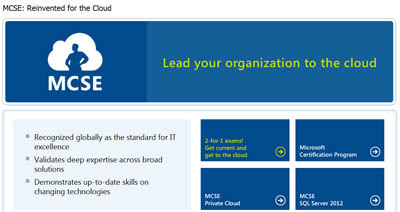 Starting from 2012, the MCSE certification will stand for Microsoft Certified Solutions Expert. It will include exams for Private Cloud and SQL Server. Other exams will become available at a later date. The foundation for MCSE is the MCSA. To earn the higher MCSE certification you will need to earn the MCSA first and then take any additional exams. If you're a Microsoft veteran then you'll remember that MCSA used to stand for Microsoft Certified Systems Administrator. That was a pretty specific title and could only be used for Systems exams. This is all set to change now. Starting in 2012, MCSA will stand for Microsoft Certified Solutions Associate. Some of the exams included in MCSA are: 70-640, 70-642 etc.. These used to be under the MCTS certification, but not any more. Already have an MCITP for Windows Server 2008? If you already have the MCITP Server Administrator or MCITP Enterprise Administrator on Windows Server 2008 , then you'll automatically earn the new MCSA for Windows Server 2008. Your transcript will be updated with the new name automatically, you don't need to retake any exams (from 24th April onwards). You can take a free practice test for either of these exams from our practice tests page. SQL Server 2012 is the first technology to solely use the new MCSA and MCSE certification paths. Unlike the MCSA for Windows 2008, you can't automatically achieve the MCSA for SQL 2012 from previous SQL Server exams because none of the 2012 exams existed before the rename occurred. You can however take the update exams via 70-457 and 70-458. If you already have an MCITP certification for SQL Server 2008. Then you can take the upgrade exams via 70-457 and 70-458. It's puzzling why Microsoft would choose to reuse an old name but we saw this earlier in the year when Apple called the new iPad "the new iPad". Must be something with the big cheeses. Well, at least you can rest assured that the Microsoft Learning website is clearly written and it's easy to see which path you need to take to achieve that certification. They've done a great job making things easy to understand so hopefully these name changes won't confuse you too much. 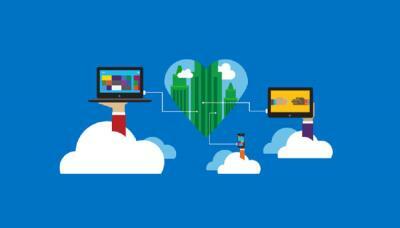 To find out more about the new certifications visit the official Microsoft learning website..